As the global cruise industry enjoys it most robust period of growth ever, the question invariably becomes: How long can it last? Cruising, which is a blend of the hospitality and maritime businesses, continues to grow at a historic pace. The Cruise Trends & Industry Outlook publication from Cruise Lines International Association (CLIA) projects a passenger count of 30 million in 2019 – up nearly 2 million from the previous year. By year end 2019 CLIA members – a veritable ‘who’s who’ of the largest brands – will have 272 vessels, 18 of which will have entered the market during the year. Ocean liners gave way to cruising beginning in the 1960’s; by the late 1990’s and early 2000’s, a consolidation wave swept over the cruise business, creating the big mega-brands led by Carnival Corporation (the parent of brands including Cunard, Costa, Princess Cruise, Holland America, among others) and Royal Caribbean (with its own well known vessels complemented by Celebrity Cruise, Azamara and others including recently acquired Silversea, in the expedition sector). The middle tier includes independents Norwegian (listed on NYSE) and privately owned MSC Cruises; numerous smaller operators work in different niches of the market. In recent years, the headlines have been dominated by megaships built through megabuild programs funded by multi-billion capital raises. MSC Cruises, the industry’s largest privately owned company, is in the midst of an unprecedented $13 billion expansion which will bring its fleet, following the delivery of MSC Meraviglia in 2017, to 25 vessels by the mid 2020’s. Still on order are four Meraviglia class ships. 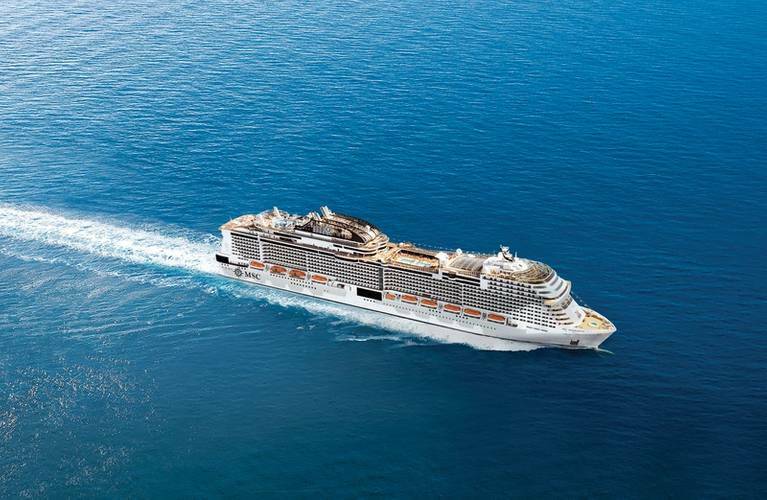 Next to deliver – from the Chantiers de l’Atlantique (formerly STX) yard at St Nazaire, France, are MSC Bellissima and MSC Grandiosa, the first of two Meraviglia-Plus ships (6,335 passenger capacity) will come into service in 2019. A sister, MSC Virtuosa, will be completed in 2020. A fifth vessel, ordered in mid-2018 for just more than $1 billion, will have dual fuel (MGO or LNG) capability with a 2023 delivery date. Further out on the MSC horizon are two new Seaside class (5,646 passenger capacity), and four dual fueled World Class vessels (6,850 maximum passenger capacity). The law firm, headquartered in London, also provides insights into the complexity of such large financings, saying that the funding “…was provided by a syndicate of lenders with Société Générale as lead mandated lead arranger, Citibank N.A. as initial mandated lead arranger and BNP Paribas, HSBC France, Banco Santander and Unicredit AG as mandated lead arrangers.” They add that Export Credit Agency assistance – which offers actual loans, as well as insurance on bank credits, lowering their cost – was provided by Bpifrance Export Assurance. The previous winners of the largest cruise vessels leaderboard, with capacities of 5,500 lower berth passengers, were Royal Caribbean’s Oasis-class vessels (in excess of 225,000 gross tons). Beginning with the 2009 built Oasis of the Seas, this behemoth was followed by Allure of the Seas (2010), and then Harmony and Symphony (with a maximum capacity of nearly 6,700 passengers). While much marketing attention for these floating cities is often focused on the “hotel” side – rooms and suites, restaurants and activities – the operational side is paramount. As vendors have developed pods and thrusters offering the maneuverability needed for a broad range of port visits, the state-of-the-art for power and propulsion has moved towards diesel electric. Symphony’s massive diesel-engine plant consists of four Wärtsilä 12V46F’s each at 14,400 kW, and two 16V46F units, each providing 19,200 kW for a total output 81,600 kW (which converts to about 109,000 horsepower- about 30% more than Maersk “Triple-E” containerships). 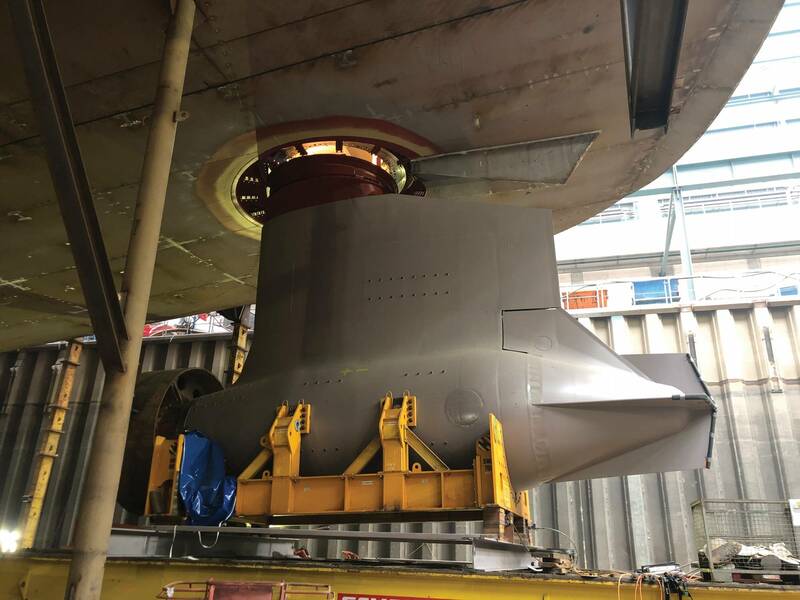 Propulsion is provided by three 20,000 kW ABB “XO” Azipods, leaving significant wattage for the hotel load. Royal Caribbean will now be debuting its Spectrum of the Seas (4,800 passengers), described as “…first Quantum-Ultra class vessel…”, also a diesel electric configuration. Designed for the burgeoning Chinese market, its first cruise commences in April 2019 following its delivery from Meyer Werft, Papenburg. 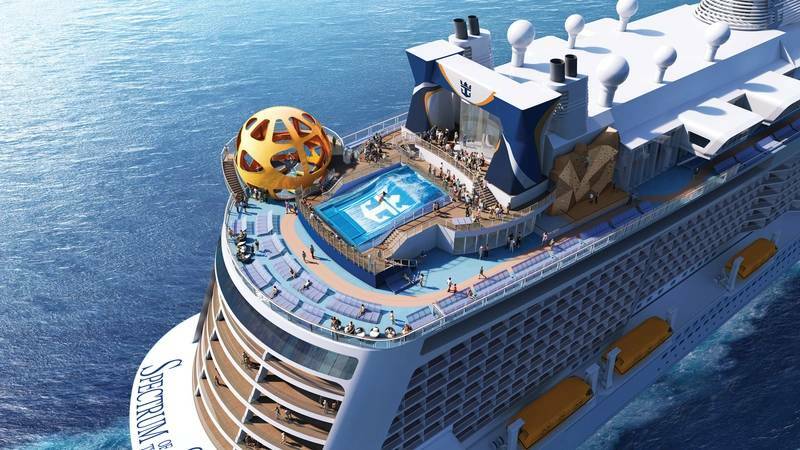 Photo: Royal Caribbean InternationalDesigned for the burgeoning Chinese market (with different configurations for rooms and gaming and shopping spaces), its first cruise commences in April 2019 following its delivery from Meyer Werft, Papenburg. The vessel represents an enhancement of the Quantum-class ships Quantum of the Seas (roughly 4,900 passengers at maximum capacity, built 2014), Anthem (2015), and Ovation (2016). A sister to Spectrum, Odyssey is aimed at the U.S. market and is scheduled to be delivered in 2020.Spectrum is also diesel electric, with four Wärtsilä diesels (2 x 19,200 kW and 2 x 14,400 kW each) and two Caterpillar generators (2,500 kW each). The propulsion configuration consists of two 20,500 kW ABB Azipod XOs, with four 3,500 kW Brunvoll bowthrusters forward. As with other sectors of shipping, IMO 2020 fuel rules and the overall mandate to improve its environmental footprint looms large for the cruise industry Cruise shipping, in fact, is arguably more sensitive to environmental concerns than the general shipping sector as their assets are much more conspicuous to the public eye. Reduction of all emissions is a headline issue in the C-Suite of every cruise company, and there have been strong moves towards reduced emissions of sulfur and nitrogen through switches to low sulfur fuels in advance of the IMO deadline, through installing exhaust gas scrubbers (while burning fuels with a higher sulfur content), but also by consuming alternative fuels, primarily LNG. Carnival Corp, with a preponderance of vessels trading in Emissions Control Areas (ECAs) decided early on that it would comply with stringent sulfur burn requirements by cleaning exhaust gasses with scrubbers. Carnival had installed scrubbers on 60 vessels (across its multiple brands) by late 2017, and was contemplating further installations aboard additional vessels by 2020. In its 2018 Annual Report, the company noted: “We have been installing advanced air quality systems on our ships. These efforts are mitigating much of the impact from the ECA requirements. Given the installation schedule, we expect to use a greater percentage of low sulfur fuel in 2020, which may increase our fuel costs.” In late 2018, Carnival was a founding member of Clean Shipping Association 2020, an industry group promoting the use of scrubbers generally, against a backdrop of concerns about open loop scrubbers in particular. A new cruise entrant, Virgin Voyage, will deploy “hybrid” scrubbers from Wärtsilä on its three 2,770 passenge vessels, the first dubbed Scarlet Lady and under construction at Fincantieri Sestri (near Genoa where it was floated out in early Februrary 2019). Delivery is scheduled for 2020. With new operators come new templates for business relationships with vendors and equipment providers. The scrubbers, and other onboard systems (including catalytic converters) are covered under a long-term maintenance agreement between Wärtsilä and Virgin Voyages, where the vendor is incentivized in providing economical and sustainable operations. Peter Keller, Sea/LNG’s Chairman, noted in a blog posting that AIDANova had entered service in December 2018 . The 6,600-passenger vessel was delivered from Meyer Werft- Papenburg, with a pair of sisters to follow in 2021 and 2023. Its four 15,440-kW MaK M46DF engines are from Caterpillar. 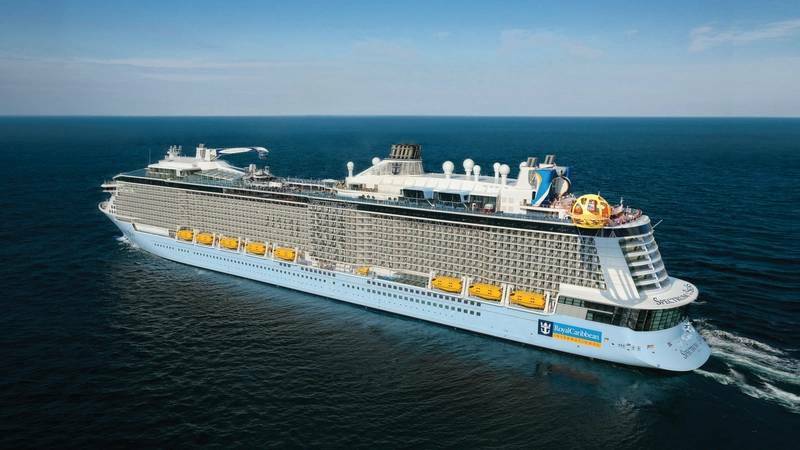 At least one cruise giant has been thinking beyond LNG; Royal Caribbean has suggested that its new LNG-powered Icon-class vessels (around 200,000 gross tons), with the first to be delivered in 2022, will see its LNG fuel supplemented by hydrogen fuel cells. Costa Venezia, which debuted in March and is destined for the Chinese market. Photo Courtesy Costa Cruises.Costa Cruise’s newbuild Costa Venezia will be positioning from the Mediterranean out to the Far East, beginning in early March with onboard activities including a Venetian “Carnival” celebration as the vessel “…follows the path of Marco Polo…” eastward, albeit through the Suez Canal. From mid-May, the ship will be homeported in Shanghai. The buying power of the Chinese burgeoning middle class is well known. Cruise travel is complementing their consumption of automobiles and previously out of reach luxuries. Initially, the rapidly expanding market is already being served by European built vessels (such as Costa Venezia, Quantum of the Seas, MSC Splendida and others), but change is in the wind, specifically to design and delivery vessels purpose built for the market. For example onboard amenities and space configurations – with enhanced shopping and gambling areas – vary significantly from Western serving ships.Chinese yards are venturing into the deeper waters of cruise ship construction and the infrastructure required. “Here in China we saw an unbelievable opportunity, as it is a country that has the intention, the interest and the resources to develop its market for passenger vessels” said Carlos H. Reyes, Tillberg & Reyes Group Co., Ltd., in an interview with Maritime Reporter. “The largest cruise lines are expanding in Asia, and there is a need for cruise ship building, ship repair and refurbishment in China.” Reyes is a partner with Tomas Tillberg in one of the world’s foremost design houses serving the global cruise market, but the organization’s endeavors span far beyond design, as it operates a subsidiary based in Shanghai, China, which is can help guide cruise vessel owners from start to finish, with insight and experience in tapping the emerging Chinese maritime finance market to hands-on contact and full project management with the yard to ensure that the hotel operations and interior outfit are completed to world class standard. “First and foremost, from the owner’s perspective, is proving that the production is world class (in China)”, a process that, in Reyes’ estimation, is neither short nor straight. Reyes and his team were involved in the Greg Mortimer, project, a ship being built in China at China Merchant Heavy Industries (CMHI). The vessel’s owner, Sun Stone Ships, will then put the luxury vessel on long-term charter to Aurora Expeditions, which will deploy her in the Antarctic. A sister expedition vessel will be delivered in 2020. “We signed the first project with SunStone, which is a framework agreement for 10 ships to be built at China Merchant Heavy Industries in Haimen, China. China Merchants was very supportive, doing all that they could to make the project happen,” said Reyes. Tillberg & Reyes Group Co., Ltd. were the brokers for the project, and it also helped in developing the financial structure. “The owner is a very experienced owner in the expedition vessel segment, so they knew exactly what they wanted. We needed to have engineering from Europe which relates to the engineering relative to a passenger vessel,” something they do not have at a Chinese shipyard … yet, said Reyes. The shipyards in China will soon be building larger vessels, with the support of Carnival Corporation- which has formed a joint venture with China State Shipbuilding Corporation (CSSC). Two 133,000 gross ton vessels (roughly 4,000 passenger capacity), the first set to deliver in 2023, will be built for a new Carnival cruise brand aimed at the Chinese market. In a complicated deal first announced in early 2017, Fincantieri will provide technical support to the Shanghai Waigaoqiao Shipbuilding yard (a subsidiary within CSSC). 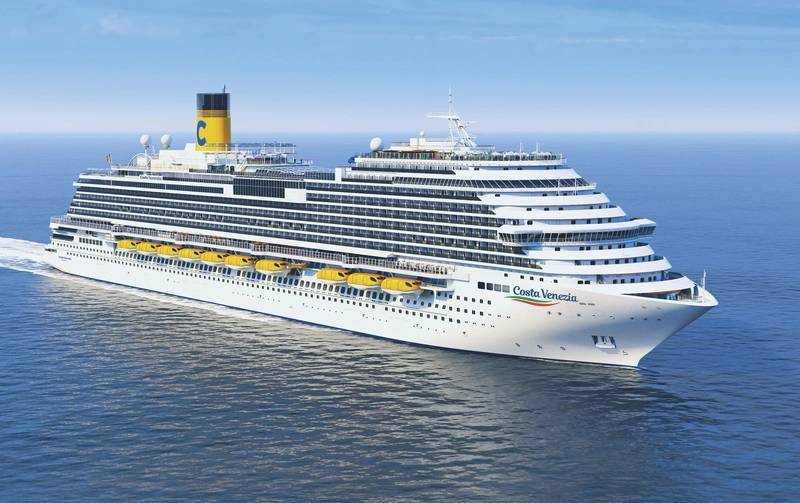 Costa Cruises, another Carnival brand, is also planning to reposition two smaller vessels (2,100 passenger capacity) into the Chinese market in late 2019, to jump-start the Carnival / CSSC China offering.